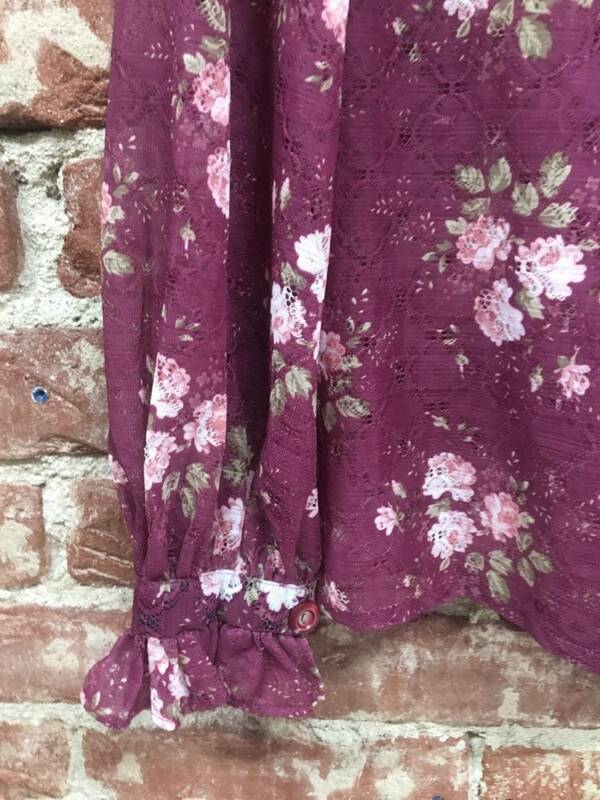 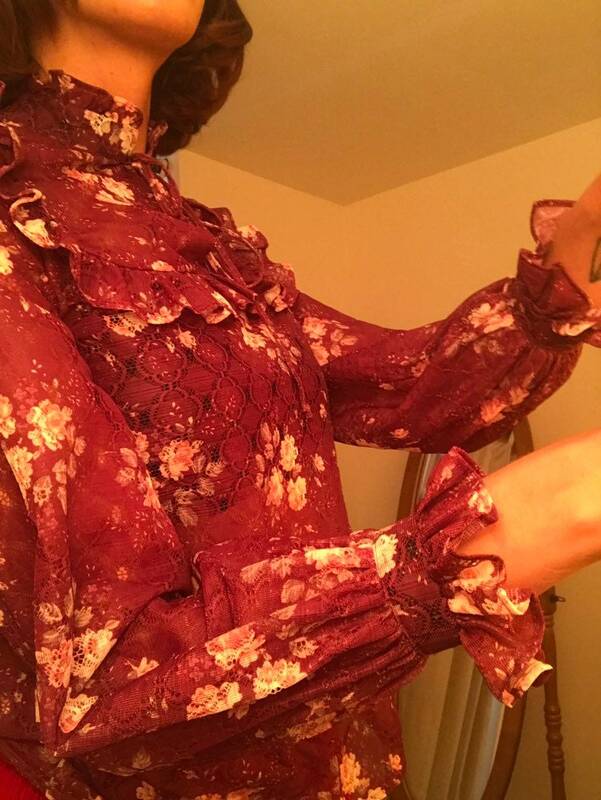 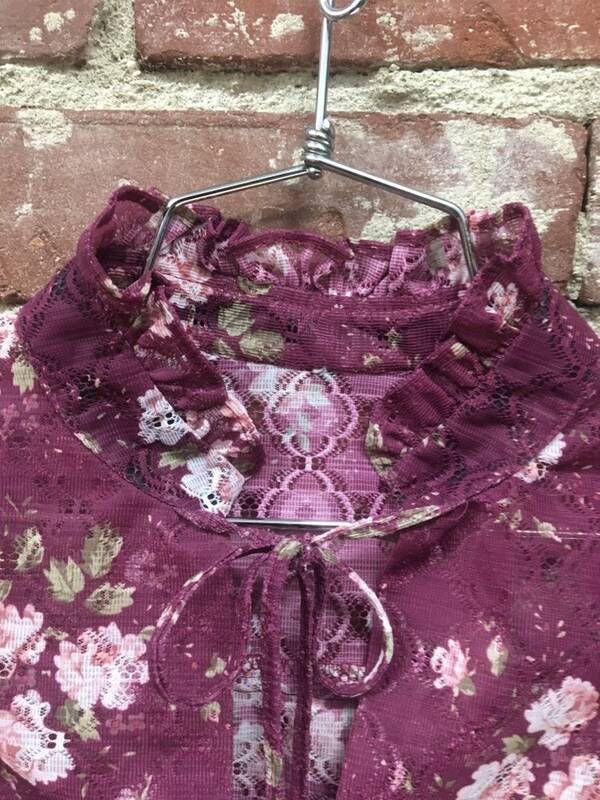 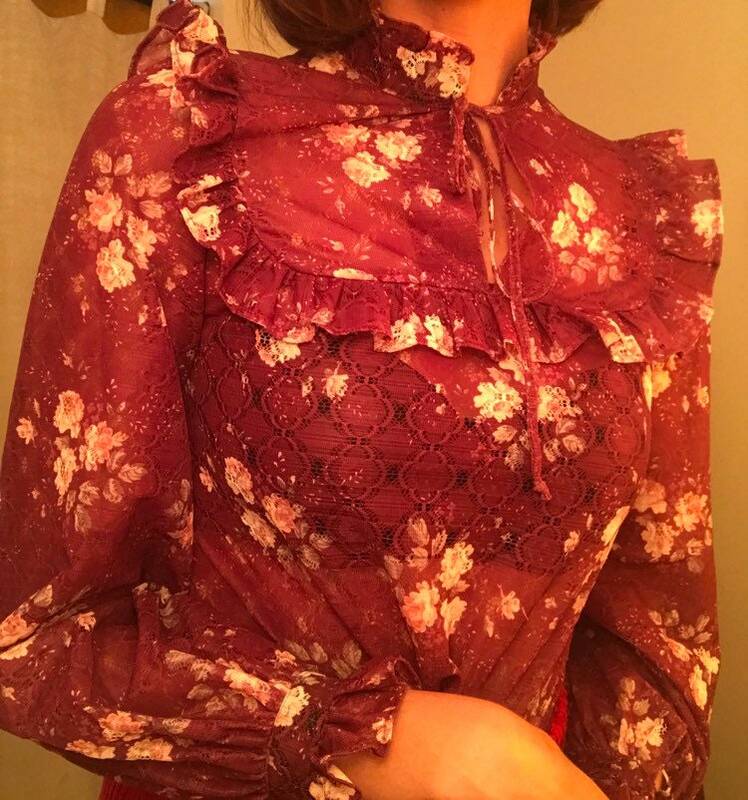 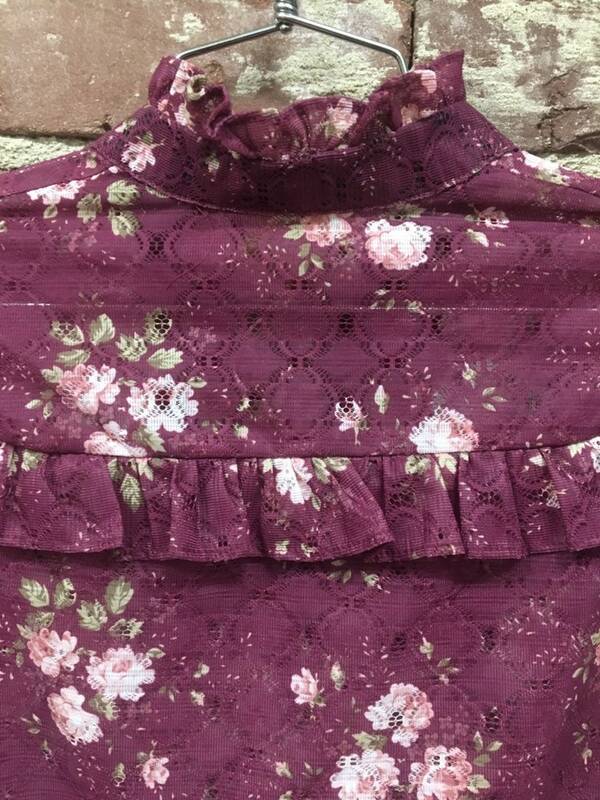 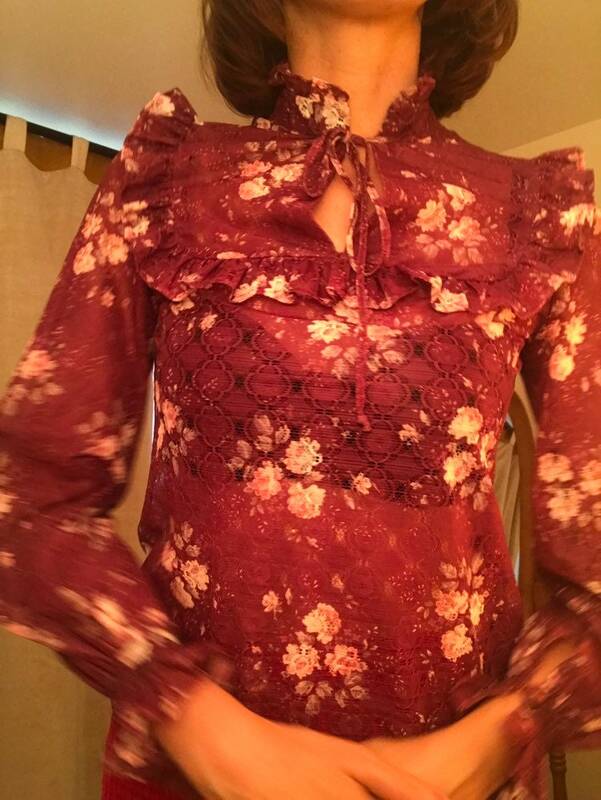 Beautiful seventies slightly sheer Victorian ruffle floral blouse. 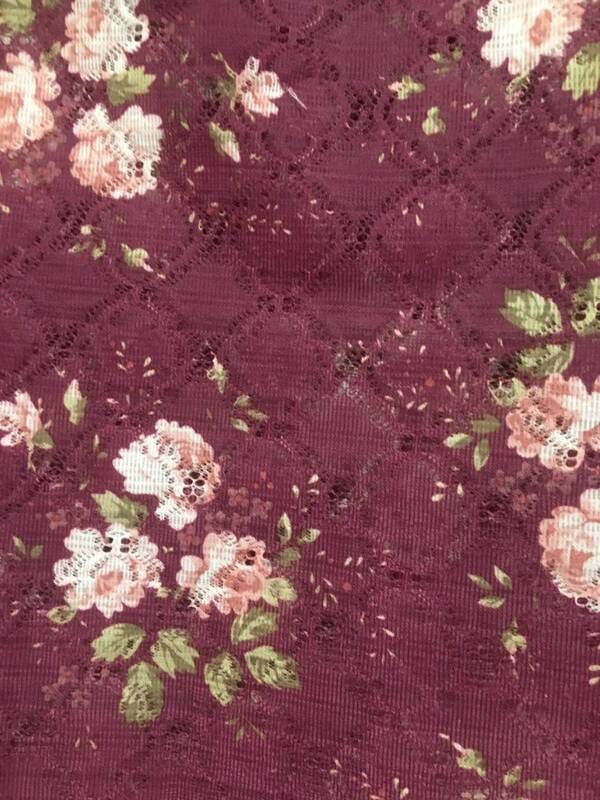 The fabric is a slightly sheer perforated nylon. 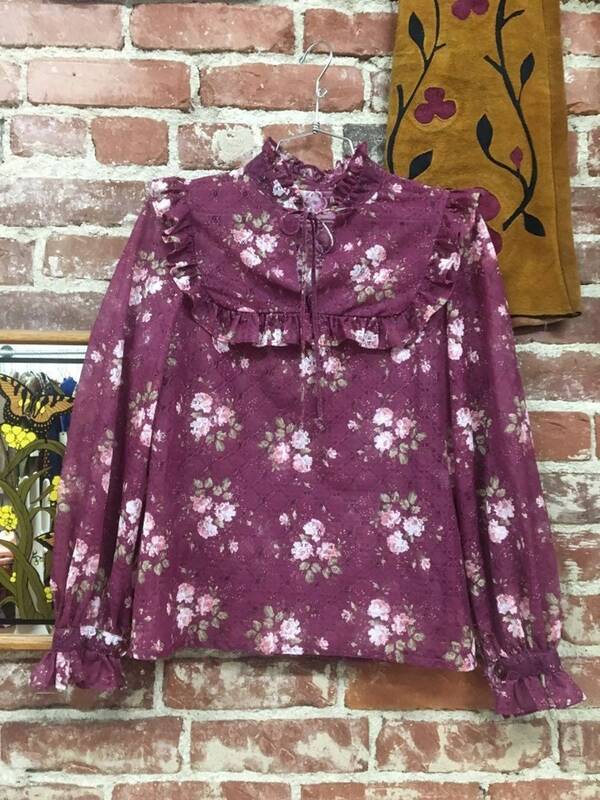 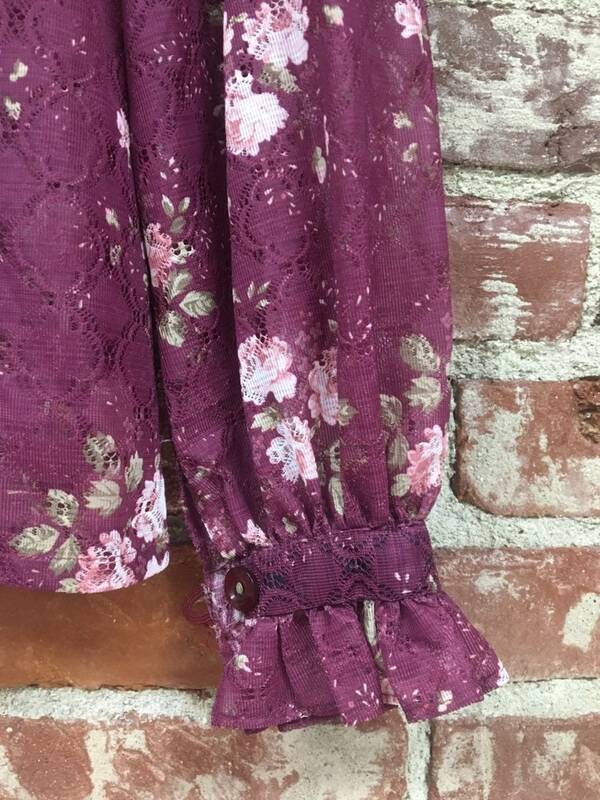 Wear tucked in the your ‘70’s high waist flares.